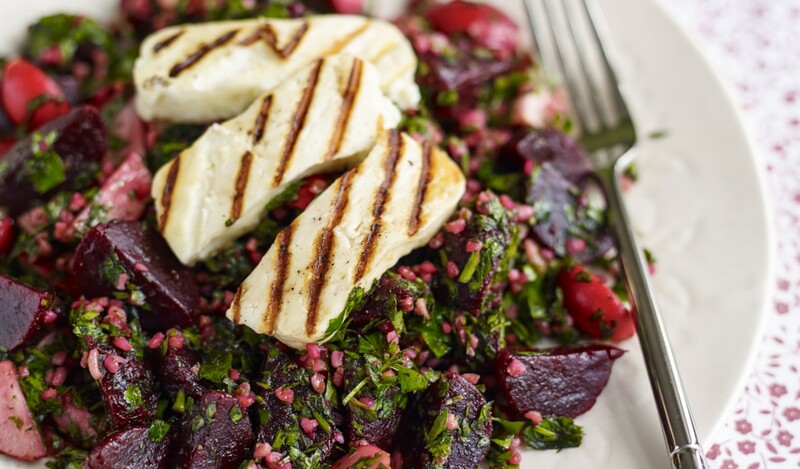 With a nod to middle-eastern flavours this herby, infused beetroot salad served with grilled halloumi ticks all the boxes when it comes to a healthy dish that doesn’t compromise on flavour. Add the bulgar wheat to a heat proof bowl and pour in enough freshly boiled water to cover. Cover with a tea towel or cling film and set aside for 10 minutes. Drain and rinse well under cold running water. Set aside in a sieve hung over a bowl to ensure it drains completely. 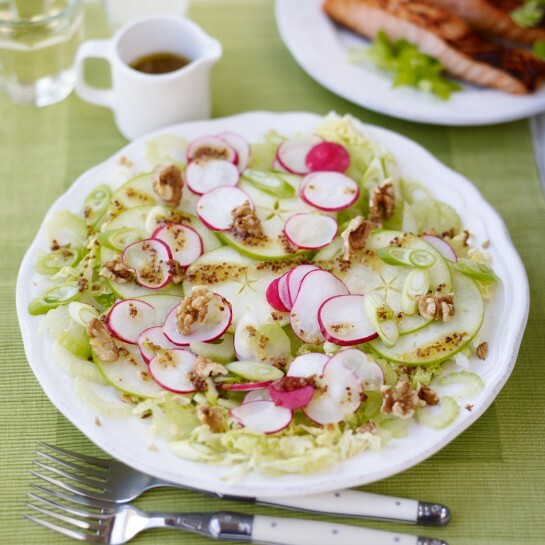 Meanwhile, add the beetroot and radishes to a mixing bowl. Finely chop all the parsley, discarding the thick stalks but including thinner ones, and add to the bowl. Pick the mint leaves, discarding the stalks, and finely chop. Add to the bowl, along with the shallot. Add the drained bulgar wheat and baharat spices and stir everything together. Finally add the olive oil and lemon juice to taste, seasoning with salt and black pepper. 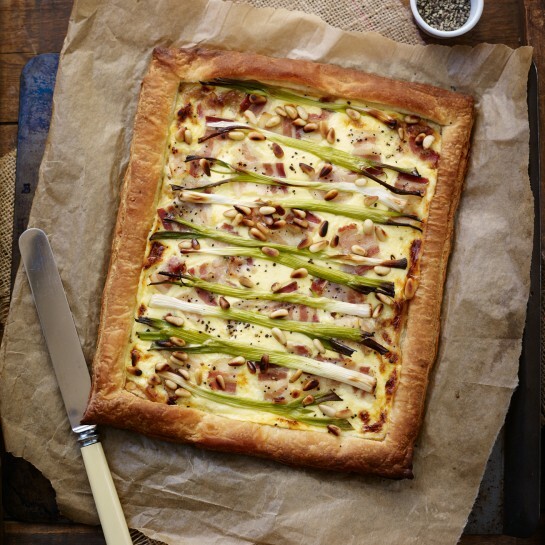 Set aside for 30 minutes to allow the flavours to infuse. Preheat a griddle pan to smoking hot. Drizzle a little oil over the cheese then griddle for a couple of minutes on each side until crisp. Give the tabbouleh a final stir and spoon into a serving dish. 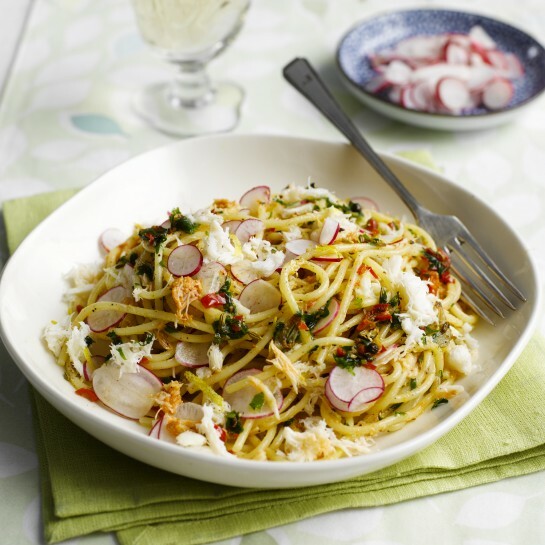 Top with the halloumi and serve immediately. 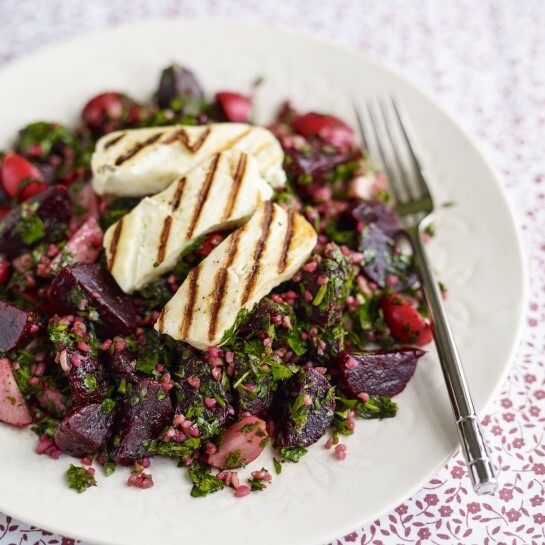 Cook’s Tip: If you can’t get your hands on Sweet Chilli Beetroot then vacpac beetroot will work perfectly in this dish. 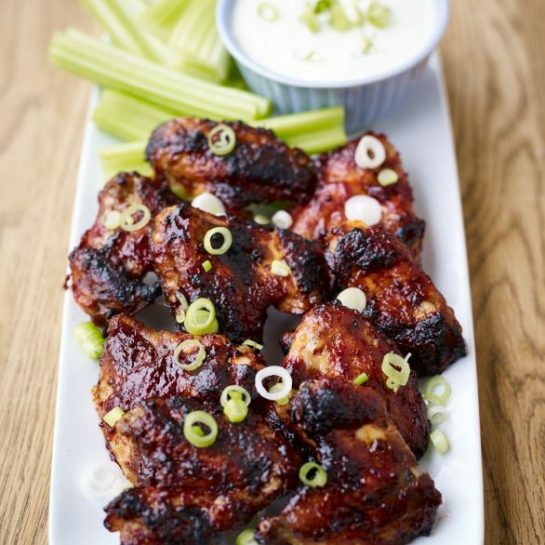 Sticky Chicken Wings with a Spring Onion & Celery Blue Cheese Dip.